Still tired from a crazy stay in NYC but figured Matt Hensley was a good place to start. The hesitant hero... one of the all-time best. Had a great time in New York. Nice to finally meet some people face-to-face and I also saw some incredible skating... the Boss, Dennis, Collin Provost, Figgy and David Gravette all killed it. And Cory Kennedy proved to be just as amazing as I thought he'd be. Insane. ...all that and my lady and I got engaged. The best part. So I moved to the mountains of Virginia in what I would consider the developmental stages of skateboarding for myself. Being 13 in 1998 there was a heavy influence in the videos for rails and big gaps. Misled Youth and Welcome to Hell were considered the norm. 411's were in heavy rotation from issue 16 on. 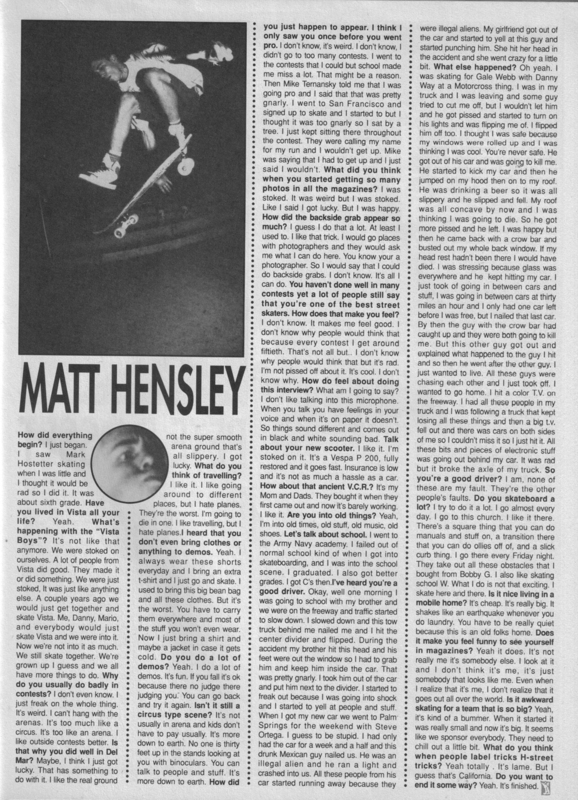 Not until my older brother gave me H Street's "Not the New" on vhs from a small rock climbing store that had the most minimal skate section ever in a skate shop history that happen to have the H street vhs box set did my approach to skateboarding truly change. Forget all the rail skating and gaps, lets work on some flat land 360 flips, kick flips off curbs and nose manuals on small manny pads. Sure I was a good 8 years late but I feel like I am part of a generation that would surely have rejected me. 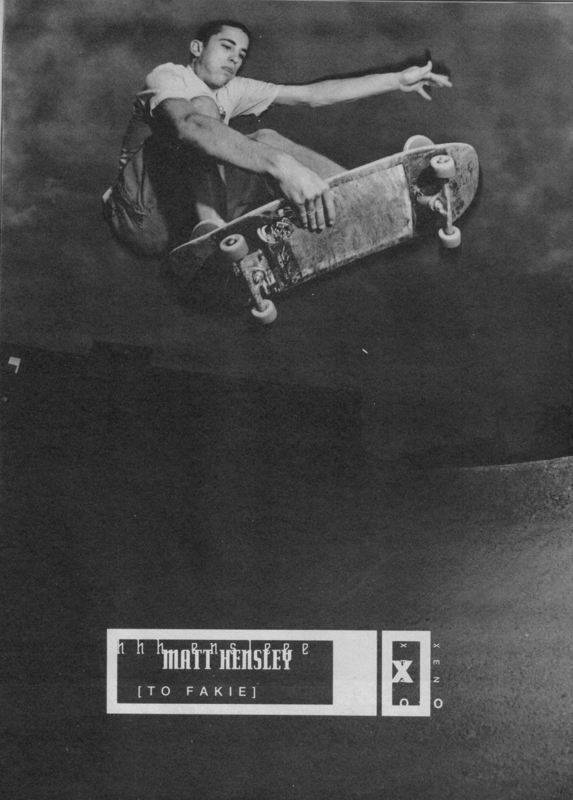 I cant help that when ever I do a full cab over a parking block I think of Hensley doing one over the picnic table. I don't care,but then again I do. I am rejected by the majority of skaters around here, I have weird personality and social problems, the same reasons I feel that drew me towards skating in 1996 while living the mid west.Sitting alone at lunch can be brutal. Anyways, let the Operation Ivy blare loud and the coping smack even louder. Who wouldn't want a tree house above a mini ramp. Congrats Chops! Sounds like you and Peel had an amazing time in NY. Best wishes for the future for both of you! Love the sentiment! Keep fighting the good fight! Right before I saw Shackle Me Not, I was all about Ray Barbee. I thought he was top dog and that nobody was better than him. My friend saw the video and told me I had to see it. He said there was a guy in the video that was better than Ray Barbee. I said, "No way!". Nobody could be better than Ray. I saw the video and I started questioning myself and whether I really thought Ray was the best. In my mind, Ray was still the best. In my heart though, I knew Matt Hensley had taken that mantle. 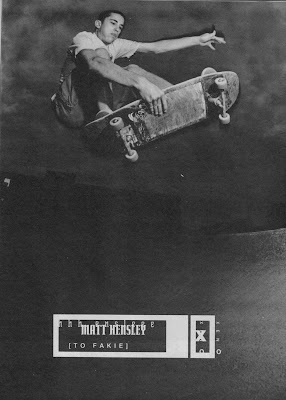 I can't say that I started rocking cargo shorts and a chain wallet, but my trick selection definitely bore the evidence of Matt Hensley's influence. congratulations! great post and good choice for the return. to anonymous: roll forever. 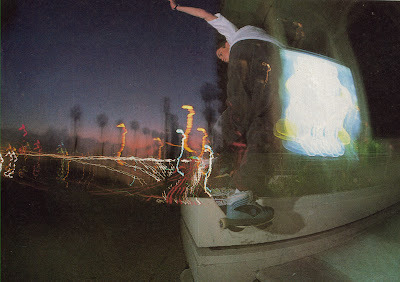 I like that photo with the blank pink board in the ditch with the A-1 Meats Ollie and Assault skateboards stickers. Hensley inspired me and so many kids back then. 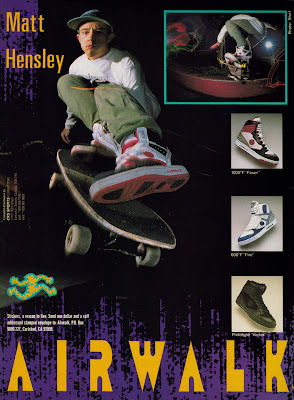 I remember thinking "think Hensley" every time I pulled a melanchollie. Much respect. I, for one, am really glad that he bailed when he did. His last video parts were amazing and then he just disappeared, leaving behind his legacy. We'll always wonder what would have happened if he kept at it. 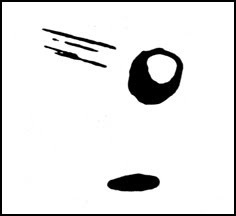 Far better to have that mystique and a solid foundation of inspiration for a generation of skaters. Congrats Chops. She must be a wonderful woman if she lets you work on this blog the way you do! All the best. PS The best Matt Hensley part? Secret pool joint at the end of Second Hand Smoke. 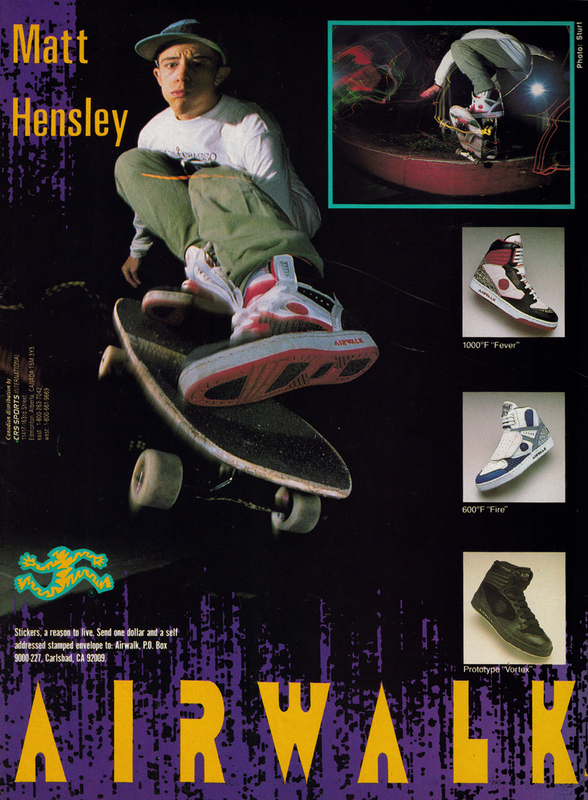 That first airwalk ad was and still is amazing. Not even sure when I last saw it. So stoked! I never rocked a wallet chain or cut down army pants but I definitely visualized his style and technique when doing melonchollies and 360 flips. 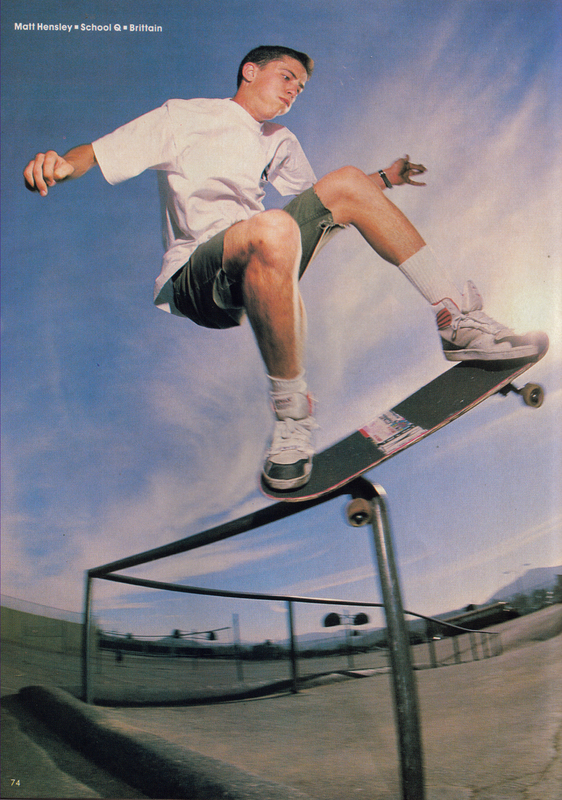 Shackle me Not was the first skate video in my skateboarding life to blow me away. And it basically came out of nowhere. Before watching it, I remember thinking "wtf is H-St and why is everyone so stoked on this video?" The rental copy from the skate shop came in a beat up old box. Again, congrats on popping the question! All down hill from here! Haha, Congrats, man! Congratulations Chops. I wish you many, many good years to come. Hensley is a permanent resident of my top ten list. His Hokus Pokus part still really stokes me out. One-foot back d's looked so good. 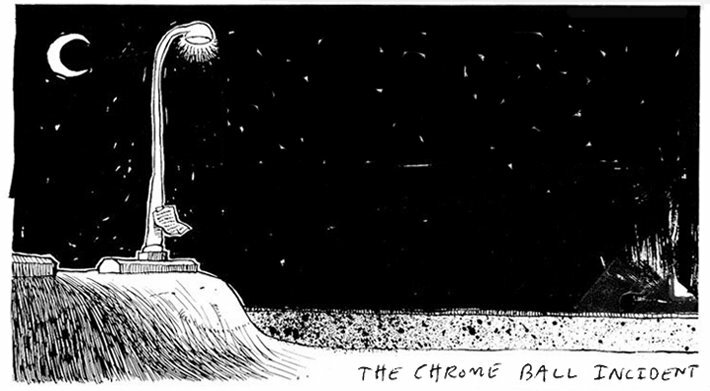 Thanks for keeping this my first stop on the internets. Keep doing your thing, Anon. That H-Street box set is a beautiful thing, word to JRog. What's up Jaycee! Keep me posted on that new thing in the works. Good luck, my man. Scheming on a way to get back over to your temporary neck of the woods as we speak. Keith, yeah I actually remembered checking out "Shackle Me Not" expecting an ego-boost of sorts. Needless to say, that video annihilated everything in its path. I've said it before but I'll say it again... Shackle Me Not and Hokus don't get nearly enough credit for how extremely important they are. Thanks K, well said... and honestly, I never saw that secret pool part until tonight. Sick. Congrats Chops! Wish you both all the best. 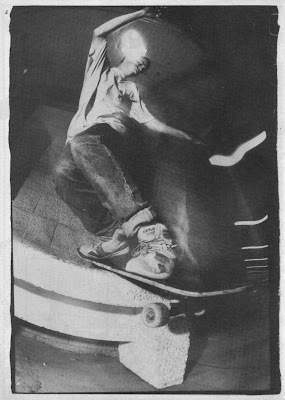 Started skating around 1987 at 10 years old and the H street videos were the first skate videos i ever saw, the first time id ever seen anyone outside my local town skating. I went out and learned melonchollies as a direct result of watching hensley do them and now, 25 years later, theyre still my favourite trick to do.